We all know the important question! Here are our rates. Our prices are all inclusive. We have been in the entertainment industry for many years and we know not only what you WANT for your photo booth rental, but also what you NEED. Our prices all include UNLIMITED PHOTO STRIPS, PROPS, FLASH DRIVE, and SCRAP BOOK (if desired.) Our prices are all reflective of a FOUR hour photo booth run time. We know most weddings last SIX hours, so do the other photo booth companies. The difference is, we don’t want to make you choose or pay extra! We want you to break up your photo booth time. 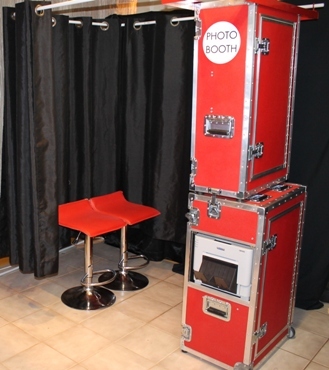 Rarely will people be lining up to use the photo booth during dinner and we do not want them using the booth during your first dance or other important events. 4 hour time, Unlimited Prints, Flash Drive of Event Photos, and Memory Book are all Included! Travel May Apply 60 minutes past Grand Rapids. High Speed Option Extra. This option is suited for very large events 250-300+. Premium May Apply to request a specific color photo booth. Custom Curtains/Backdrops Available for Rent. Red Photo Booth Coming Soon!